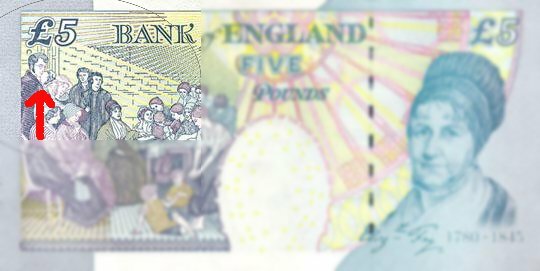 That guy in the top left hand corner of the back of a five pound note is Sir Thomas Fowell Buxton (1786 – 1845). He looks kind of unassuming there, stood at the back in his glasses, doesn’t he? However, I stumbled across him on a random link trawl a while back, and ended up trying to find out more about him. So, as well as being an MP and baronet, it turns out he was a brewer, staunch anti-slavery and anti-capital punishment campaigner, raised money for those in poverty, and was a founder of the RSPCA. None of these things (apart from being a brewer, of course) would have been particularly popular at the time, so he was clearly a man of great moral character and strength. He also said the following: “With ordinary talents and extraordinary perseverance, all things are attainable”. He’s a new hero of mine.